← 613 "22 for 30"
Studying is not "appropriating nerd culture"
"A Father's Watch" is the eighteenth episode of season 28. The episode aired on March 19, 2017. 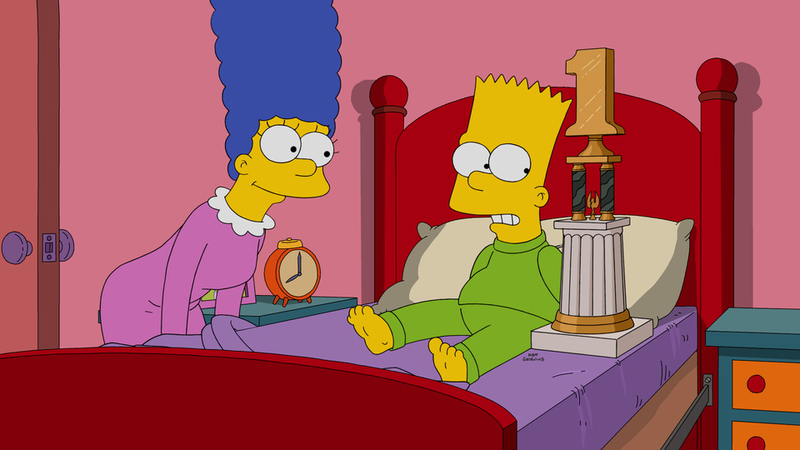 "Worried that Bart is destined for failure, Marge turns to a series of parenting "experts" for advice. Homer decides to cash in on one expert's advice by opening up a trophy store in Springfield. Meanwhile, Bart finds some needed encouragement from Grampa, who gives him a precious watch coveted by Homer." Two frogs from the Frog Heaven watch Bart dissecting one of them's body, using it for his entertainment and playing with its entrails. Afterwards, Marge sees Bart's grades and points out that they're quite low and how that can ruin his future. She starts pacing at night and searches on Oogle if anyone talks about parenting online, and finds an article by an expert with a book to promote. She contacts her and organizes a meeting with other parents at Springfield Elementary. During the meeting, the expert explains a parenting method that consists in finding a way to cure the children's low self-esteem and tells the crowd they need to give certificates, ribbons or trophies to their kids. As a result, all the parents, Marge included, start awarding trophies to their kids for everything they do. Meanwhile, Lisa tries to find the significance on giving trophies to Bart because she says it only works if you really earn them yourself, and unintentionally gives Homer the idea of selling trophies in the garage. That is soon a success. Later, Marge finds out Bart is the one who makes the trophies and says he should be given a trophy for his work, but Homer disagrees. Then, Homer and Marge have a private talk and Homer says the boy will always be screwed up. 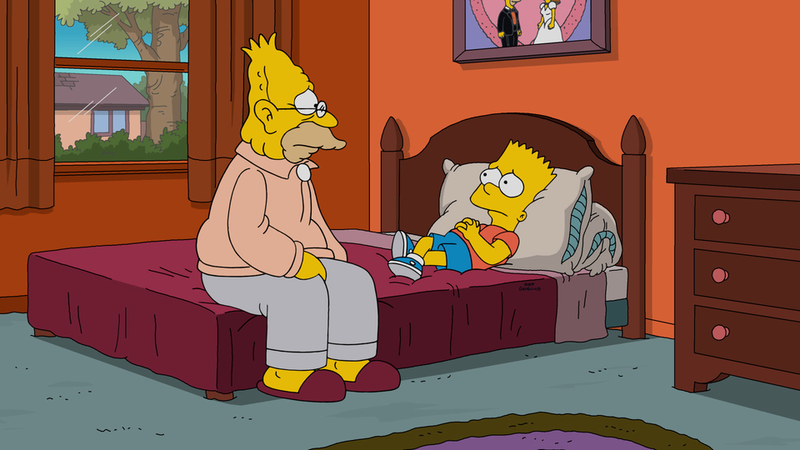 Bart overhears them and sadly goes for a walk and finds himself at the Retirement Castle where Grampa tells him a story about his father and grandfather. 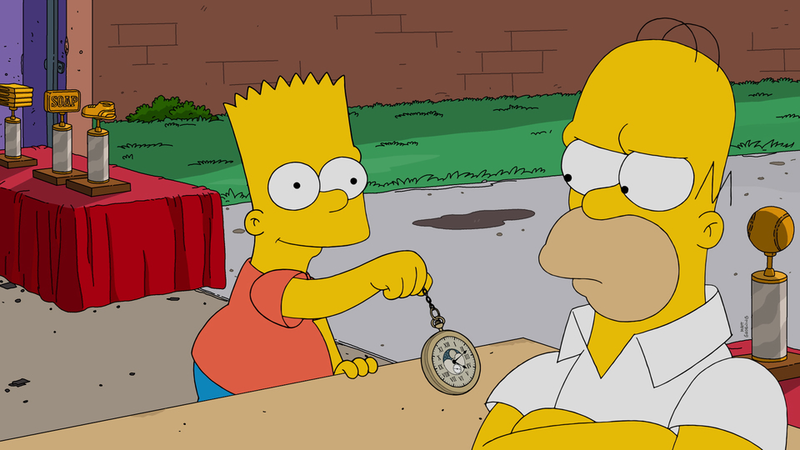 To prove him that he's a great kid, he gives Bart an old watch, the most prized possession of the family. Lisa rebels against the trophy-giving parenting style at school and sets up another meeting with another parenting expert, Dr. Fenton Pooltoy, who tells parents to use the G.R.I.T. method: Get up, Retry, I don't care if you're Tired, and Get Rid of Idiotic Trophies. Springfieldians then change their minds and they rebel against the trophies and Homer is forced to make a sale of the unsold trophies. Bart shows up at the sale and shows off his watch, much to Homer's annoyance. He then starts going around with his new found confidence thanks to the watch and, as a result, he starts changing his lifestyle. However, the watch's chain breaks while he is on top of a mountain and the watch falls down the precipice. He tries to find it with Milhouse's help but they have no success. Meanwhile, Marge is getting rid of all the trophies in the house, including Lisa's earned ones. Grampa calls Bart and tells him about an interview for an article for a magazine that will feature a picture of the watch and that will take place the next day, much to Bart's desperation due to having lost the watch. Homer sells his unsold trophies at a pawn shop where he finds out that Milhouse brought the watch there after being mad at Bart for throwing rocks at him in order to find it, and buys the watch. Homer wants to brag about having the watch, but when he approaches Bart's room, he overhears him cry. To cheer him up, he tells him that the reason he was like this was because of him and those who came before: his parents. 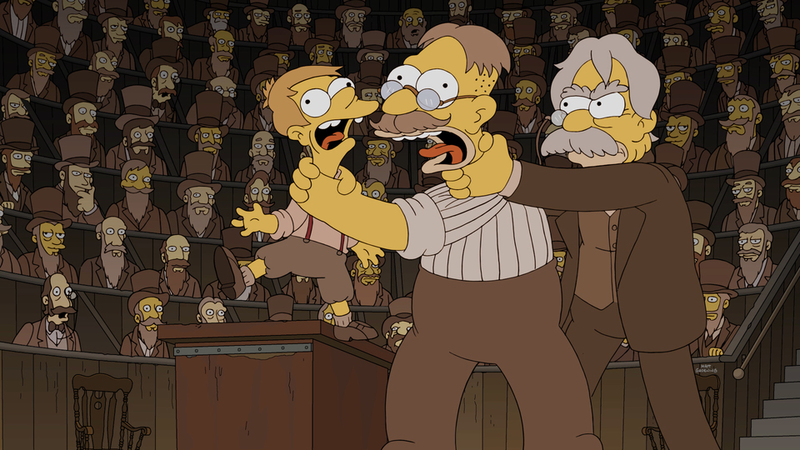 Bart and Grampa make the photos for the article together, right before Bart breaks the watch when it ends up on the floor, and Grampa strangles him. At the end, Lisa and Homer watch Ralph become the first pick at the NBA draft. Modified on April 1, 2018, at 17:41.